UFC lightweight Khabib Nurmagomedov has been sidelined by injury since his last fight and win over Rafael dos Anjos last April and is considered to be one of the next in line for a title shot, which he will probably earn with one more win. 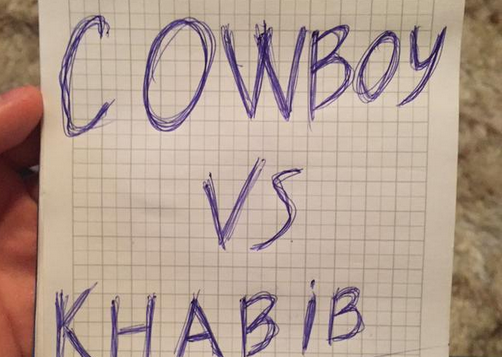 The man who threatens that shot is none other than Donald ‘Cowboy’ Cerrone who has already fought twice for the UFC this 2015 calendar year. Those wins include decisions over Myles Jury and Benson Henderson. Cerrone is now on a seven fight win-streak. Nurmagomedov currently holds one of the longest undefeated streaks in MMA with 22 straight wins. He is currently No. 2 in the official UFC lightweight rankings. 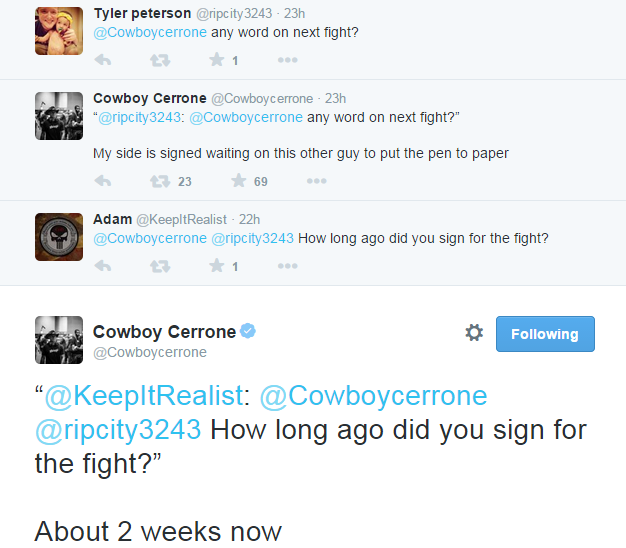 When Cerrone was asked by a fan on Twitter when his next fight would be and if it was signed, Cowboy said it had been signed for 2 weeks already. 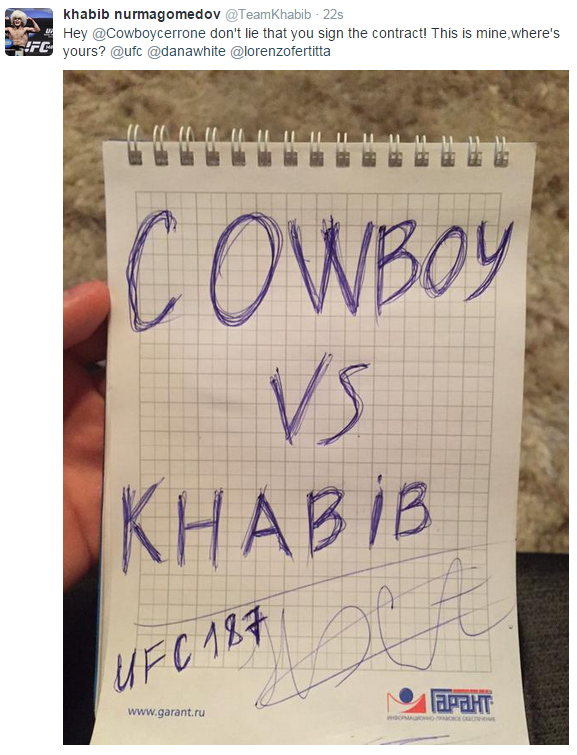 Nurmagomedov took exception to the response and retaliated with his own tweet. See below.